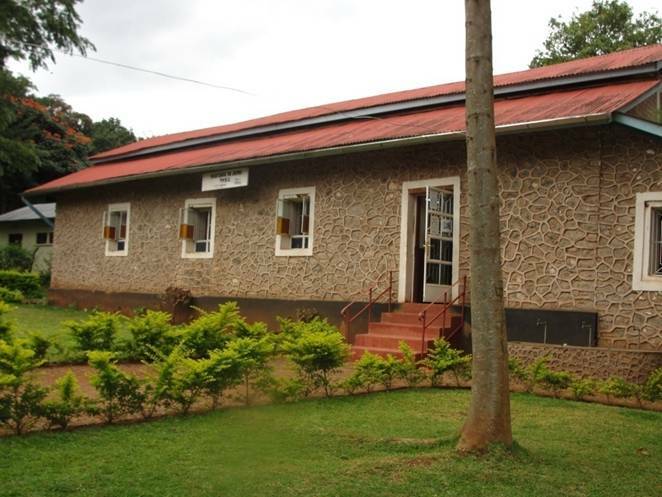 In December 2006, the Evangelical Lutheran Church of Tanzania Northern Diocese handed over a century old church building that was under-utilized to MWIDEFU to be used as a Community Library. In 2007, with a grant of $5,000 received from the Diplomatic Spouses’ Group (DSG) of Dar es Salaam, MWIDEFU furnished the empty hall. Initial stock of books were obtained from book purchases, individual donations, and donations from the World Bank Book Project, a service organization by spouses of World Bank staff which channels books donated by schools and libraries to developing countries. Since its inception 50 some years ago, it has shipped over three million books. April and Michael Patillo, volunteers from the CES Partnership, trained two librarians and helped to set up the library. 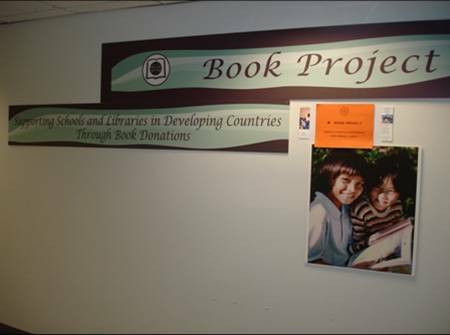 Anne Waters of the World Bank Book Project dropped by in 2008 as the Library was taking shape. On September 28, 2008, a colourful ceremony officiated by Dr. Frederik Shoo, Assistant to the Bishop of the Northern Diocese, marked the opening of the Library. The event was covered in the Daily News, a national newspaper in Tanzania. Greater share of the books are in English. It has a small but growing collection of Swahili books with contributions from Norwood School (of Bethesda, Maryland, U.S.A.). It also carries newspapers in English and Swahili, none of which are readily available in rural areas. The Library has about 5,000 books and a seating capacity of 50, including a children’s corner. Readers span from primary school children to University students, professors and local farmers. Number of readers who visit the library fluctuate widely. There have been some exceptional days when the number exceeded 100. Many people in Mwika have not stepped out beyond Kilimanjaro borders. MWIDEFU, in its attempt to open the eyes of the villagers, it has brought the world to Mwika with audio-visual equipment funded by the Diplomatic Spouses Group (DSG) of Dar es Salaam and a collection of some 40 educational DVDs and feature films. 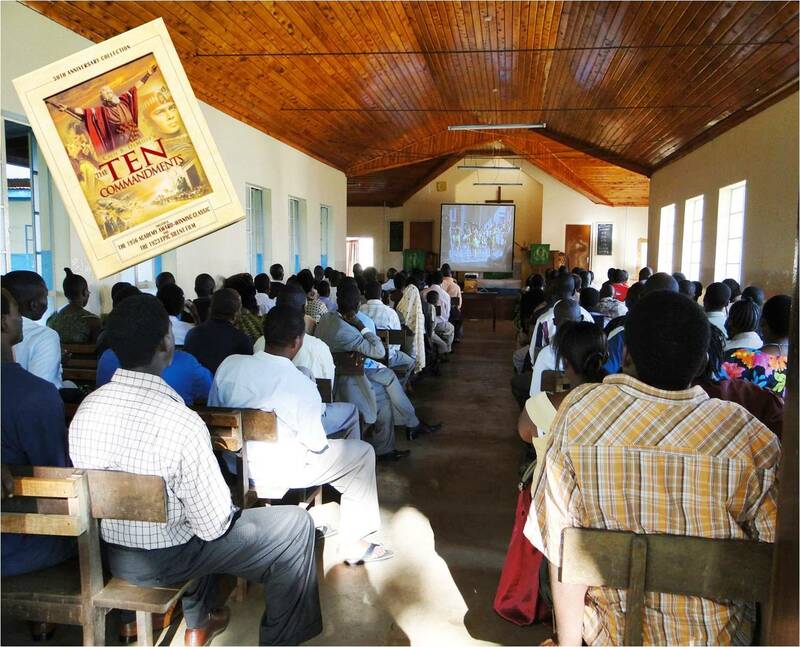 First showing of the DVD featured Ten Commandments, a story familiar to the villagers, therefore easy to follow despite the language barrier. With cooperation from all 24 primary and 5 secondary schools, the University campus, and the Community Library in Mwika, MWIDEFU obtained free shipment of 30,000 books from the World Bank Book Project. The books arrived in Mwika in July 2010 and were kept in temporary storage till they were collected by individual schools/institutions who were the intended beneficiaries. Modes of transport to the final beneficiary ranged from a tractor, to wheelbarrows, women’s head-power, pickups, etc. 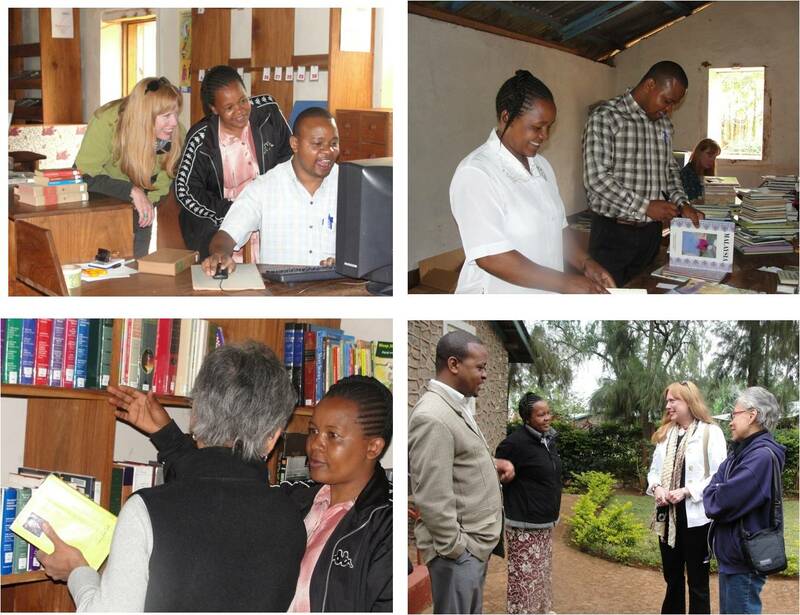 Arrival of the books coinciding with the visitation to Mwika by two Librarians from Norwood School, Sue Gail Spring and Sandi Hannibal, provided a perfect setting for further training for Mwika Librarians, Ebenezer Shao and Anence Kawiche. Each school received books from the World Bank Book Project, depending on their level and the size of school enrollment. 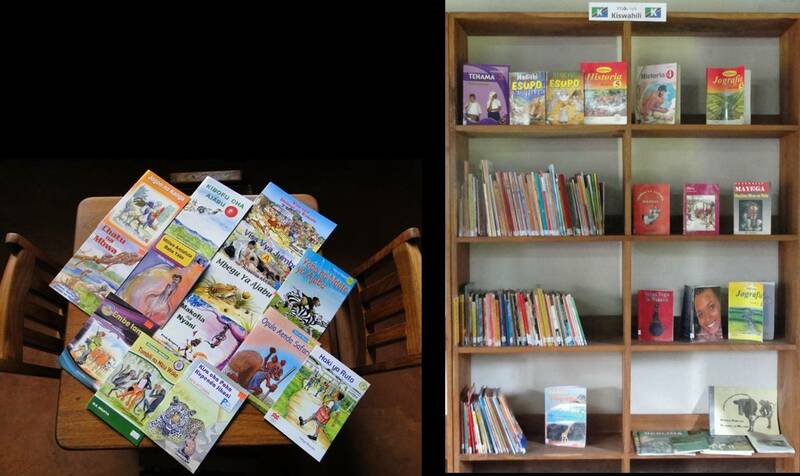 Since then, Mwika has witnessed mushrooming of school libraries at primary and secondary level. MWIDEFU handled the cost and logistics of clearing the books, transporting them from Dar es Salaam to Mwika, and oversaw their distribution to schools. Mwika community members and their friends and family.